Its been more than a month since I last blogged. Since then I have gone to Japan on vacation. I have seen a wonderful successful kidney transplant between two wonderful members in the church who are not blood related. I have been moving around in a Toyota Picnic that a kind American missionary friend who left for USA allowed me to use till the COE runs out in 2 January 2015. The church worship hall will undergo renovation so I have been busy with arrangements and communications of the alternate worship service space. And I have been on Whats App in a prayer group for the kidney transplant, and quite often communicating on my personal and church Facebook page. All these took time. And they drained me of ideas and the motivation to update this blog. In other words there were things to blog about but somehow the one liners of Twitter and Facebook seemed an easier and quicker and lazier way to express my thoughts. This blog is losing out but I know that if one of my goals of blogging is to practise writing then I simply have to push aside other competing demands and shun the broad and easy highways of one liners and plentiful pictures and “likes”. So here I am on Christmas Eve. I have decided I need to start writing again and avoid the easier path. Just write the ideas that strike me and reflections of what is happening around me and in the news. Ramble if I have to. Just get started again on a regular basis. I am so heartened by Christian leaders and pastors who have continued to blog. Many have stopped as traffic moved elsewhere but these guys still keep writing regularly with persistence and quality. They are on my blogroll links on the right hand and I hope to keep company with them. Well this is a good enough kick-start for today. Hopefully the passion will kick in and I will have something more substantial to say. On Sunday a guest in church asked if I was the one who wrote a blog and she mentioned reading it. I did not have the presence of mind nor cleverness to ask what she read or to inquire as to what interested her or whether she found it helpful.She must have read one of those posts that were probably from a period when I wrote about twice or thrice a week. On Tuesday, I was in the car with a colleague talking about the thesis I have to write. I had a few ideas I was exploring. He strongly felt I should write something about the use of social media in learning and discipleship since he knew blogging was something I was enthusiastic about. In passing he mentioned that he had met quite a few friends who reads blogpastor.net. On Thursday, I was having lunch with a pastor who mentioned occasionally reading my blog too. Hmm. Three affirmations within five days is not normal. Something is afoot. As I reflected on this I remembered how I felt after I came back from my study module in Bangkok. My target had been to blog once a week. But I was tired from the intensity of the course. I had sermons to prepare. I had post-campus assignments to do. I felt like maybe I should just stop blogging. It is like you are jogging at a good pace and an anxiety fills you and all of a sudden you simply stopped in your track. All those incidents, so surprising, are probably the Lord’s gentle pat on the back to encourage me to continue on this writing journey. It will lead somewhere. It does me good. It helps people. Blogging sounds like slogging but I want to write as fulfillment and delight but is this possible all the time…..I wonder. Tony Reinke wrote an interesting article listing 15 tips on blogging which he had drawn from the Writings of John Newton, the former slave-trader who encountered Christ and became a hymn-writer and quite a prolific letter writer too. His letters were written in an informal easy style, topical, and experience-based. This is similar to blogging. 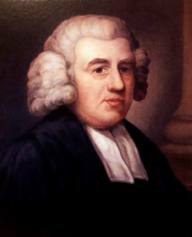 Scan the list of 15 tips and if you want to read John Newton’s own words from which Tony deduced the tips read the full article HERE. 1. Bloggers should write to learn, to meditate, and to remember. 2. Bloggers should write to edify, therefore it is preferable to write simple truth than to spread eloquent trifles. 3. Bloggers should expect the well to run dry at times, and understand some of the personal factors that explain this barrenness. 4. Women should be encouraged to blog for the benefit of the entire church, since they naturally write in a style more enjoyable, and less stilted, than men are normally capable of. 6. Blog to offer both converting and comforting grace to your reader. 7. Make it your constant aim to blog with the intent of prospering your reader in God. 8. Be extra careful when handling controversy on your blog, and if you do engage it, know that it carries with it extra responsibilities, first in the tone of how you write, secondly in requiring you to sincerely pray for your opponent(s) before you engage them, and thirdly in requiring that you address your opponent as one who has an eternal soul, and who will either be lost forever, or as one that will be your brother or sister in heaven for all eternity. 9. Bloggers should aim to write from personal experience. 10. Bloggers should also write from their observations of others. 11. Learn to blog your observations more freely, especially if you are bent towards a stilted formalism. 12. Blog humbly and in faith, knowing the Lord will lead you to offer a “word in season” for your readers in their time of need. 13. Pray that God would fill your soul with divine joy as you write, that this joy would be communicated on the screen, resulting in a shared joy with your reader. 15. Redeem your barren blogging experiences, use them to see your needs and weaknesses, and lean upon God for his sustaining and supplying grace.